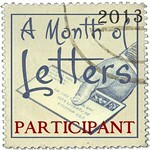 I like Fold & Mail Letters, do you? You write on one side of the paper, fold & seal it up, put the address on the outside and it's ready to mail. Nice, neat, simple and only one piece of paper. I found these at Target in the stationery section on the bottom shelf at my local store (in case you decide to look at your store). 20 in the pack, around $4.50 I think, can't remember the exact price. The little pink flowers were already printed on the paper but you know I had to add a little extra personality before mailing it off! I found some at my Target, too, but mine have butterflies. I will check out another Target for this design, it's very pretty. 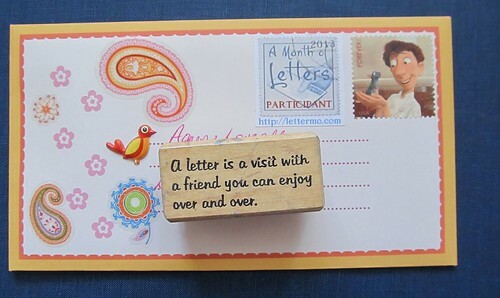 where did you buy this great rubber stamp? I've had the rubber stamp for years and years...the date on it is 1999!